We take pride in our tutors and providing an extraordinary experience. We guarantee that you will be satisfied with the tutor of your choice. That is why we offer our guarantee. When you purchase one of our tutoring service packages, any unused tutoring hours are refundable up to 30 days from the date of purchase, provided that you participate in at least one session with a tutor obtained through Strive Academics' platform in that time. If you are unsatisfied with your tutor after your first session, we will help you find a tutor who is a better fit for your needs. Your second 1 to 2-hour session is on us - there is no extra charge. If you remain dissatisfied after the second session (but before a third session), we will issue a full refund of all unused hours. 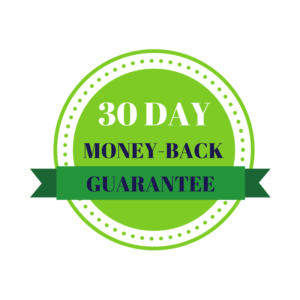 *If you choose to pay by the hour instead of purchasing a tutoring service package, the 30-day guarantee does not apply. We still guarantee that you will be satisfied with your first session. If not, we will still offer a second session free of charge.